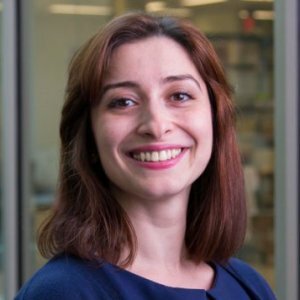 Dr. Golshahi specializes in aerosol science and in vitro-in vivo correlations for respiratory support, diagnosis and inhalation therapy. Recipient of the President’s Doctoral Prize of Distinction, University of Alberta, Canada (2009-2011). Early diagnosis of airway remodeling as a result of respiratory diseases in an unmet need. We are aiming to adapt our in vitro platforms to ease diagnosis of airway remodeling. 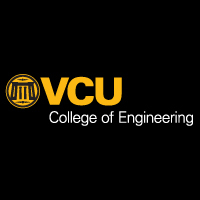 This Research Fund in part addresses three initiatives in the VCU's 'Quest for Distinction' Strategic Plan: 1) increasing and diversifying the university's sponsored research; 2) increasing productivity in high impact and translational research; and, 3) increasing interdisciplinary research. EGMN 591: ST: Introduction to Particle Science and Technology is a technical elective course. Particles are ubiquitous in the environment in many different forms such as dusts, pollens, smoke, fume and smog, so the knowledge of their behavior is essential for their control. Understanding the behavior of particles is also the focus of respiratory drug delivery specialists. The course covers the basics of properties of gases, particle motion, size statistics, adhesion of particles, coagulation, condensation and evaporation, electrical and optical properties of particles in carrier gases, filtration and brief discussion of respiratory deposition. The course is beneficial for advanced undergraduates, graduate students and professionals with interests in environmental science, air pollution control, industrial hygiene, radiation protection and pulmonary drug delivery. This is also a technical elective course. The course is designed with the aim of a balanced coverage of theory and application of fluid mechanics and thermodynamics of turbomachinery. Starting with background principles in fluid mechanics and thermodynamics, the course progresses to discuss axial flow turbines and compressors, centrifugal pumps, fans, and compressors, and radial flow gas turbines, hydraulic turbines, and wind turbines. The course is beneficial for senior undergraduate and graduate students, who are interested in the aerospace, global power, oil & gas and other industries who are involved in the design and operation of turbomachines. Dynamics addresses the accelerated motion of a body. The principles of kinematics and kinetics of particles and rigid bodies in two dimensions are covered in this course. Kinematics only considers the geometric aspects of the motion, and kinetics is the part where the forces causing the motion are analyzed.